Now I am so decided. I am definitely doing this. 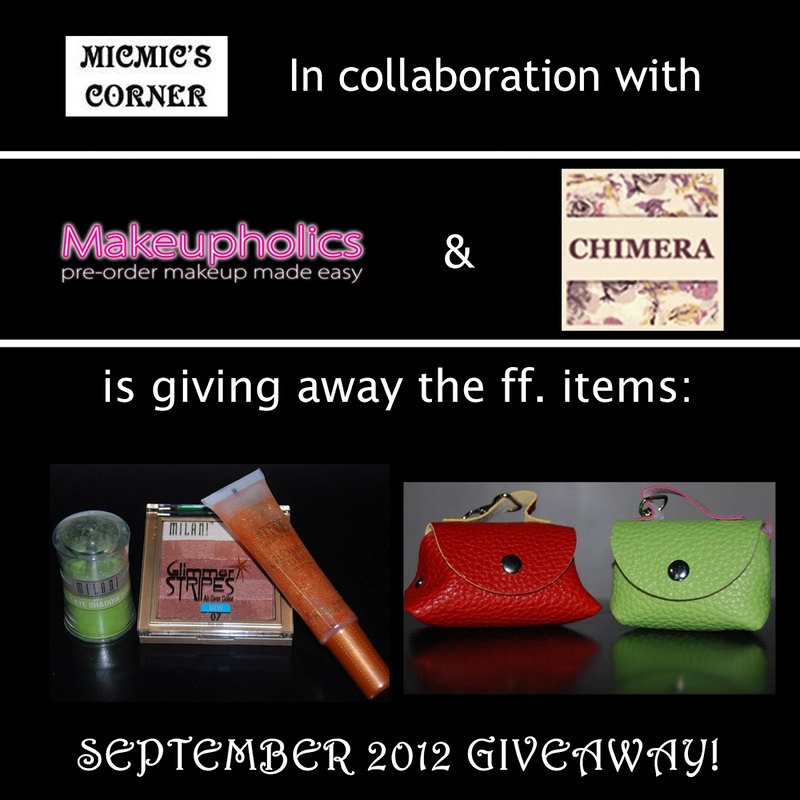 I saw this from Mitchie's blog and I think this is the best 30 day blog challenge for a makeup enthusiast like me. So here are the questions for you to have an idea on how the challenge will go. Exciting, isn't it? 1. When did you start putting on makeup? 2. How did you learn to put on makeup? 4. Do you like wearing foundation? If so, what’s your color and favorite? 5. Favorite lipstick, lip gloss and lip liner? 6. Do you like/wear false lashes? If yes, strip or individual? 7. Favorite eye shadow color? 8. What’s your favorite daytime look? 11. Do you like wearing bronzer? 13. Where do you keep your makeup? 15. Do you wear blush? 16. Do you copy any of the celebrity’s makeup? 18. What’s your favorite night time look? 21. Where do you buy your makeup at? 23. Favorite eye shadow palette and blush palette? 24. Which do you like: cream, matte, powder, sheer, or shimmer eye shadows? 26. Do you wear makeup everyday? 30. Picture of yourself with and without wearing makeup? Few more days to join! Please click here to be redirected.